Joyce Barrett devoted her life to teaching others – whether first-graders discovering the joy of reading or a church group on a museum outing or new hospital volunteers learning the ropes. Even now, after Joyce passed away, her commitment to giving back to her community continues to lives on. Her giving nature extended well beyond helping only those she has known. As a longtime donor to Sun Health Foundation, Joyce supported health care programs and services that benefit the entire community now and in the future. And she wouldn’t change a thing. A Valley resident since 1958, Joyce and her husband Hugh, who passed away in 1999, have seen the community grow and change over the decades. Hugh’s work in the education field brought the couple to Phoenix from Ohio in the 1950s, and they never looked back. “So Phoenix has gone from a very small country town to a big metropolis,” she says. The couple ultimately made a home in Buckeye, and Joyce decided it was time to go back to school. She pursued an education degree and began teaching elementary school. She spent 27 years teaching and today still remembers her favorite part of the job. “When they first start learning to read, it is the most rewarding experience,” she says. Beyond their careers, the couple enjoyed traveling and found adventure on nearly every continent. Egypt was a favorite, followed by Russia. Joyce also stayed active with their church and took up line dancing for fun. Recovering from a stroke, she continues line dancing today with the help of a walker. But her giving didn’t stop there. Joyce generously supported Sun Health Foundation in a number of ways, says Pamela Gralton Kohnen, senior development director for the Foundation. In addition to her annual giving to the Foundation, Joyce always looked for a way to make a larger gift, which also had advantages for herself. She elected to set up a charitable gift annuity, which supports Sun Health Foundation’s work while she receives fixed payments for life. The gift also provided a federal income tax charitable deduction. CGAs can be funded by cash, securities or real estate. “Then Joyce gave the ultimate gift, and provided a gift through her estate,” Pamela says. 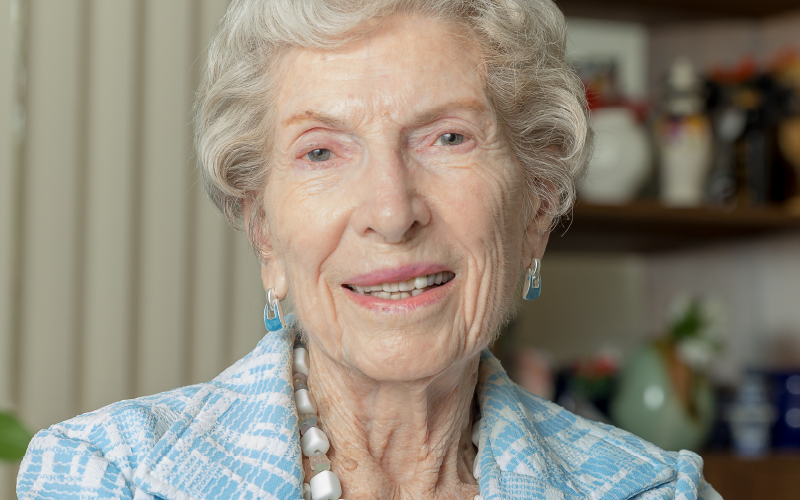 In her later years, Joyce focused her giving on health care, supporting both Sun Health Foundation and children’s health. Boswell, with its skilled and caring staff, will always hold a special place in her heart.